About: Prodigy's premium 1-1/2" thick insulation delivers exceptional R-value performance (resistance to heat flow) that can help you save money on utility costs and feel good in your home year round. This finely milled cedar-grain panel provide timeless curb appeal while its 16'8" extended length design yields clean lines and modern style for an understated elegance. Prodigy's premium factory applied 1-1/2" foam insulation delivers exceptional R-value performance (resistance to heat flow) that can help you save money by lowering your energy costs for decades to come. Buying insulated vinyl siding is a good move if you are planning to stay in your house for a long time to come. If you live in an area where there is harsh weather either hot or cold, you might consider looking into the new insulated siding with factory applied foam insulation. It will help you lower energy costs and it keeps outside noise down also. This thermal photo shows heal loss on a normal wood framed home. In the summer the opposite is true, the heat comes into your home warming up the walls and causing your A/C to work overtime. 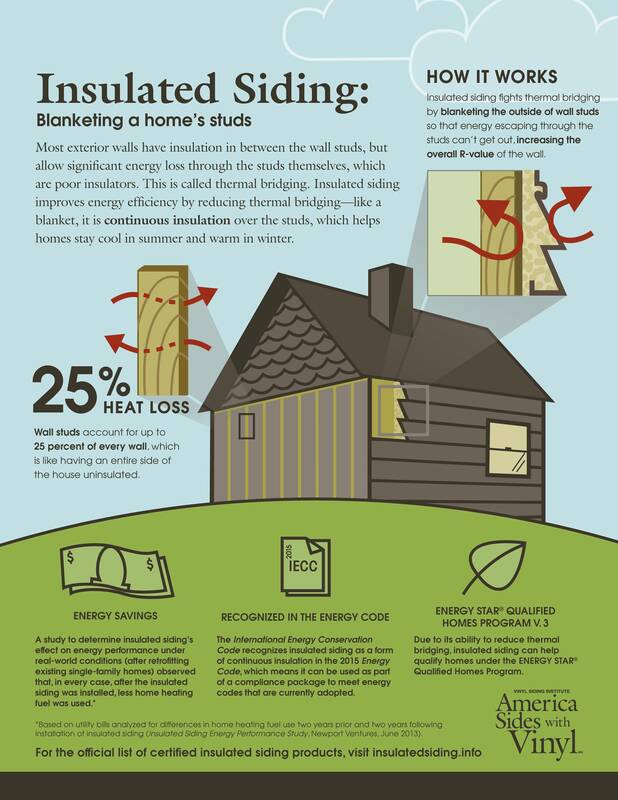 Even though insulated vinyl siding cost a little more than regular vinyl siding, it pays big dividends year after year by lowering your energy costs. The factory applied foam insulation adds R-value to your walls. This saves you considerably on heating and AC. Premium vinyl sidings use high-performance insulation that is form-fitted t adhere to the outer panel for enduring strength, with no tearing or rattling, even in extreme winds. Alside offers another premium vinyl siding called Charter Oak. 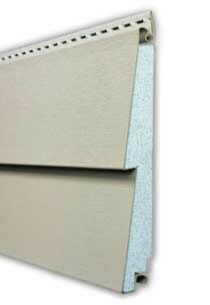 Click here to see this line of insulated vinyl sidings. 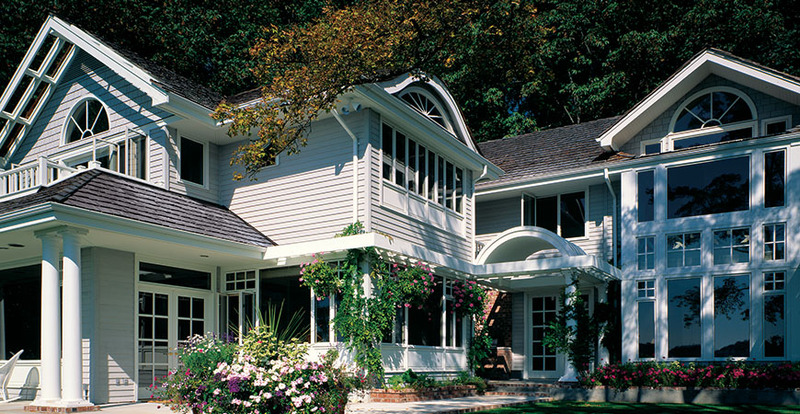 Pictures of houses using Alside Vinyl Siding....click here. To see more information on Cost of Vinyl Siding...click here. The hard part about buying vinyl siding is 'where do I start'? What do I do first? We have put together a step by step page that helps guide you along your way. 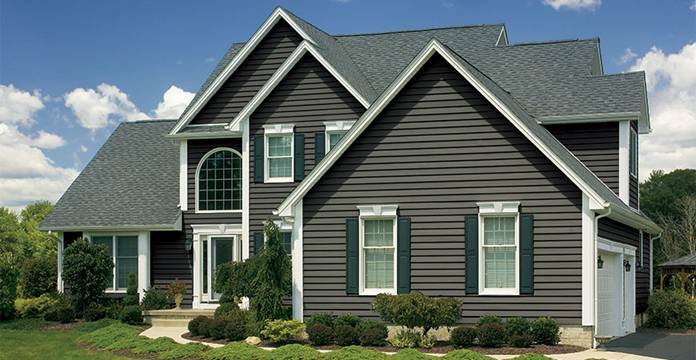 To see more information on How To Buy Vinyl Siding click here. Other types of home siding include siding made from concrete or cement. Stronger than vinyl siding but less expensive that wood or brick.